Fuel economy gains for the sort of vehicles most Americans buy and drive seem to have run out of gas – at least temporarily. As sales of less fuel-efficient light vehicles have climbed, new-car average fuel economy slipped to a two-year low in December, equaling the levels of December 2013 and January 2014. “The average fuel economy (window-sticker value) of new vehicles sold in the U.S. was 24.9 mpg – down 0.2 mpg from the revised value for November,” reported Michael Sivak and Brandon Schoettle of the University of Michigan Transportation Research Institute in a press release. “This decline likely reflects the continuing drop in the price of gasoline in December, and the consequent increased sales of pickup trucks, SUVs, and crossovers,” said the researchers. In fact, record vehicle sales in 2015 were powered by those non-car segments while sales of all sizes of cars declined from 2014. Combined sales of pickups, SUVs, crossovers and minivans represented almost 55.7 percent of about 17.5 million vehicles sold last year, based on motorintelligence.com data. 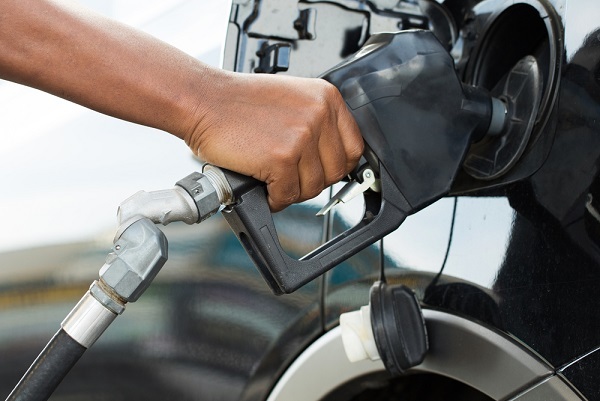 Gas prices are hovering around $2 on average nationwide for a gallon of regular, which is down about 19 cents from the same time last year, according to AAA’s Daily Fuel Gauge Report. Fuel economy for December was down 0.9 mpg from the 25.8 mpg peak reached in August 2014, but still up 4.8 mpg since October 2007, the first month of monitoring by UMTRI, said researchers Sivak and Schoettle. The average fuel economy of vehicles sold in all of calendar year 2015 was 25.3 mpg, down 0.1 mpg from the value for the vehicles sold in 2014. The average fuel economy was calculated from the monthly sales of individual models of light-duty vehicles and the combined city/highway fuel economy ratings published by the EPA Fuel Economy Guide (window sticker ratings) for the respective models. In another study, the University of Michigan Eco-Driving Index (EDI), which estimates the average monthly emissions of greenhouse gases generated by an individual U.S. driver, was 0.84 in October, up 0.01 from September (the lower the value the better). This value indicates that the average new-vehicle driver produced 16 percent lower emissions in September 2015 than in October 2007, but 6 percent higher than the record low in August 2014. The research institute, which is “dedicated to achieving safe and sustainable transportation for a global society,” issues a monthly report on vehicle fuel economy.